Experience Anantara Spa’s award-winning luxury in an oasis of lush golf green views. 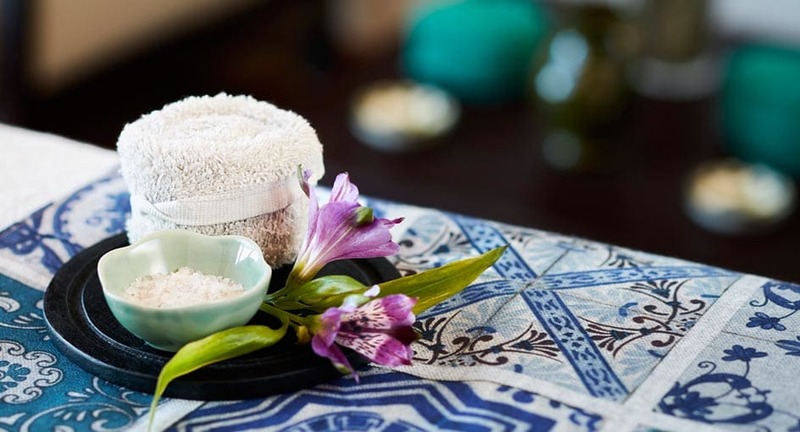 Treat yourself to spa journeys that are uniquely Anantara. Surrender to our tailored approach, the exotic Thai touch of skilled therapists and exclusive signature experiences. Renew with ancient Mediterranean therapies, exclusive rituals and energising Asian techniques. Results-driven treatments redefine beauty to match Vilamoura’s glamour. Couple’s spa bliss extends to massage tranquillity at the adults-only pool. Our signature blend of oils, combined with purpose-designed movements, stimulates circulation and promotes deep relaxation, while restoring the flow of energy, or prana, along the meridian lines. Release muscle tightness in the shoulders, upper arms, scapula, upper body sides, and lower back in a therapeutic oil massage designed especially for golfers. Relieve fatigue and relax a busy mind as you completely unwind with a blend of classic stretching and mobilizing techniques. Passed down through the generations, this unique and exotic technique is known to many as ‘passive yoga’, as it offers the ultimate body workout. Let your expert therapist do all the work - while you enjoy the benefits. Experience how pressure point and stretching techniques effectively release tension, increase flexibility and boost vitality.